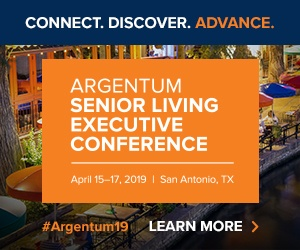 Another multifamily developer is taking the dive into the senior housing business and is developing a small but focused pipeline of independent living, assisted living and memory care communities with an established operator. Ian Guttman, vice president of Hills Properties and newly-founded Guttman Properties in Cincinnati, has seen first-hand the demand for senior housing as his own father ages and is craving a more social and supportive atmosphere than what is offered in his condominium community. Guttman recognized the need for senior housing in his area and in 2015 founded Guttman Properties to focus solely on developing senior living communities. Guttman Properties has partnered with Fort Worth, Texas-based Civitas Senior Living to handle the operational side of some of their properties, which are still in the planning phases. Civitas currently operates 19 senior living communities throughout Texas and has four more opening soon. Coming from the multifamily housing market, Guttman shares that he hopes to apply some of the characteristics he uses in his buildings to senior housing, such as high-end design and architecture. Guttman has been involved in Hills Properties for 29 years.The family-owned company was established in 1958 and is now operated by second- and third-generation partners and executives. In the beginning, Hills Properties focused on the single-family home market then expanded its operations to include luxury condos, patio homes, town homes, apartment homes and commercial properties. To date, Hills Properties has 21 multifamily buildings and 13 commercial properties. For Guttman Properties, there are currently four projects in the pipeline, all of which will be brand new construction and will include independent living, assisted living and memory care. The company has partnered with Civitas to operate three of the four projects. The first will break ground in the fourth quarter of this year in Louisville, Kentucky. The Grand of Prospect is anticipated to cost around $20 million and will have a total of 168 apartments. Amenities will include indoor and outdoor dining, a massage room, theater, salon and barbershop, courtyard with walking paths and a playground for families. Following The Grand of Prospect will be a community in Houston, which is planned to break ground in the first quarter of 2017. Then will come a community in Cincinnati, which is set to break ground in quarter two of 2017. The fourth community, and second in Louisville, is planned to break ground in the middle of 2017. Guttman Properties is open to partnering with other senior living operators down the road on future communities, but is looking for companies with a solid foundation. Financing for the projects will come through various sources of private investments and bank financing, Guttman explains. Right now, the company is focusing on getting its first four properties underway, but does have plans to expand further if everything goes according to plan. “Since we just established Guttman Properties in 2015 and already have four communities in the pipeline, I think at this point we are doing great, but would be open to other geographical areas in due time,” says Guttman.